Do we REALLY have to go to recess? Did I really hear that right? Kennedy, the basketball queen, does NOT want to go out to recess today? I check my pulse. I am still alive and the clock is sitting at 12:30. Today, however, Kennedy is highly engaged in an activity she does not want to stop. She is a professional an expert even, in the middle of an important project. A project that of course involves the IPad. My students are in the middle of our light unit. We have read everything we need to in the text book while we patiently await our Science kit from the district, so we can engage in even more meaningful and hands-on activities. Today, was a SAIL, or gifted and talented day, and I didn’t want to move on with a little less than half of my class. 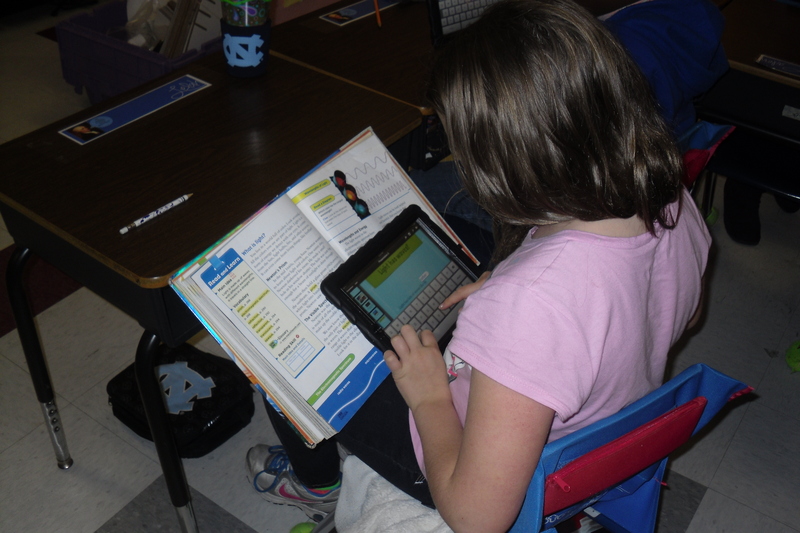 So, I planned ahead and decided we would create something as a review today, and creation usually involves our IPads. I told my students that when I instruct teachers, I have to have a visual aide. This is usually a powerpoint or keynote. Since half of our class was out, I reminded my students that they were light experts and that they would be presenting to one of their peers the next day. They were going to take on the role of the instructor or expert and they needed to create a slide show to teach a classmate about light. We quickly reviewed the information we knew, and then students got to work. I walked around and monitored while students chose their theme, put their understanding of light into their own words, and chose pictures to illustrate their understanding. 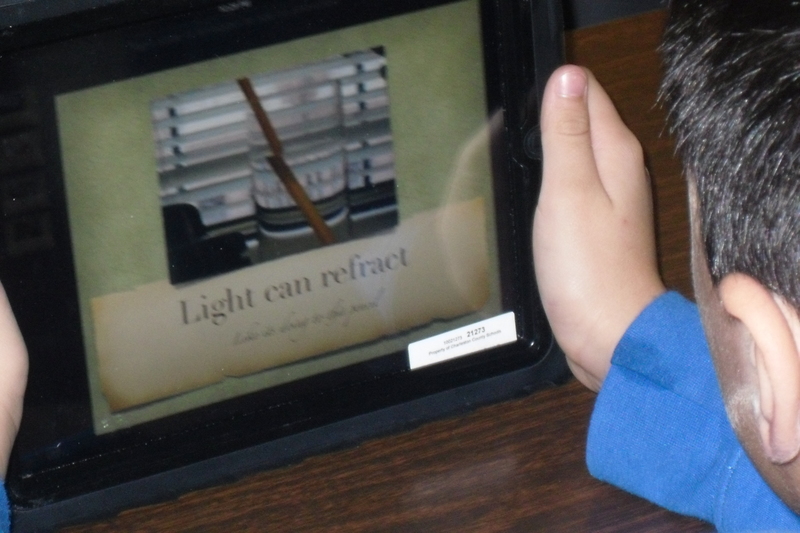 Kids had their book out to use as a resource and were using google to find images of refraction, reflection, and light rays. Soon our entire Science block had passed and the students did not want to go to recess. The students worked up until lunch, and then I promised them more time the next day. They are excited to present to their peers that were away tomorrow. This will be a great review and starting off point for our investigation stations! « What do your students really need?